Fits 2003 B6 Audi A4 1.8T models with the AMB engine code in VIN range 8E-3-040000 > 8E-3-500000 and 2003 - 2005 Volkswagen Passat 1.8T models with the AWM engine code. Includes all hardware needed to retrofit to a much simpler and more reliable breather system design. 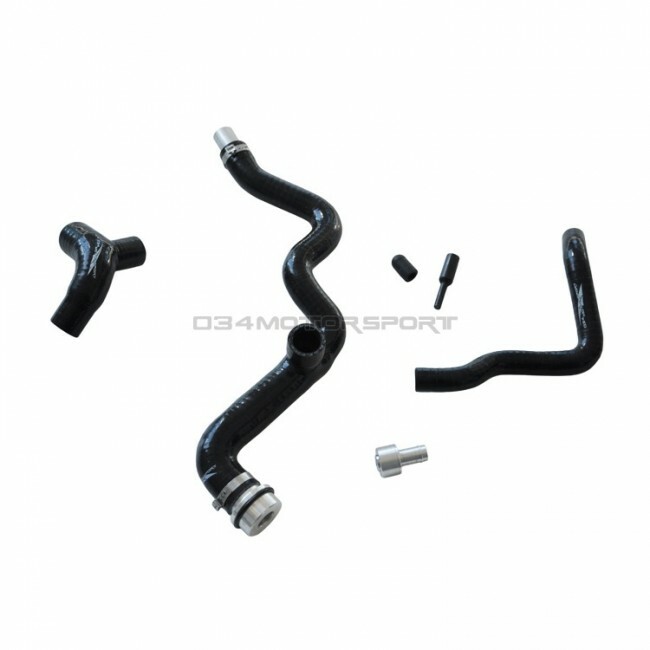 Features a billet aluminum block breather adapter with an o-ring seal that utilizes the factory retaining clip, and cap/plug to eliminate/bypass the auxiliary check valve hose. Replaced brittle and cracked crankcase ventilation system.Simplified and more reliable system.Eliminated a lot of vacuum leaks.Cheaper than replacing each individual piece.I found it helpful to look up the picture for the parts it replaces as I purchased the Passat used and someone had a lot of hoses hooked up incorrectly. This kit replaces the factory parts.